Resorts World Manila will present its seventh major stage production, the beloved family musicale Annie, this coming September 2016. It was in the year 1980 when Annie was first staged in the country with no less than Lea Salonga playing the title role. 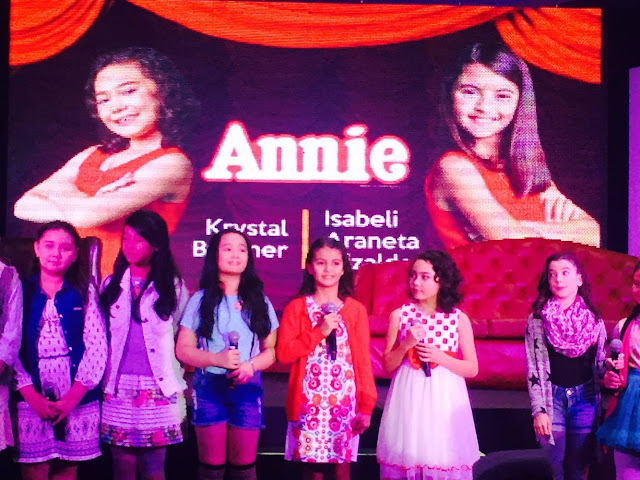 ANNIE promises to rekindle its love affair with older Filipino audiences and charm new generations with its inspirational story story about a charismatic orphan's optimistic outlook in the life against all odds. Annie is about the adventures of a little orphan girl who gets harassed (along with the other orphans) by Ms. Hannigan, the lady who runs the orphanage. In a strange twist of fate, she was invited to stay temporarily at the house of wealthy Oliver Warbucks. 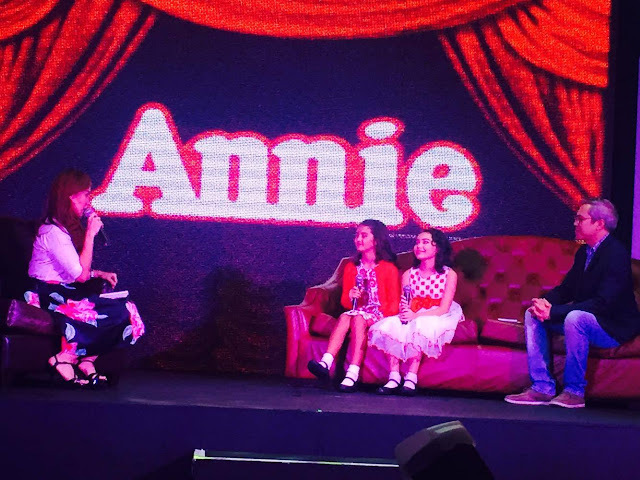 And if you're curious to know more about what happened to Annie, find time to watch it at the Newport Theatre of Performing Arts in Resorts World Manila. 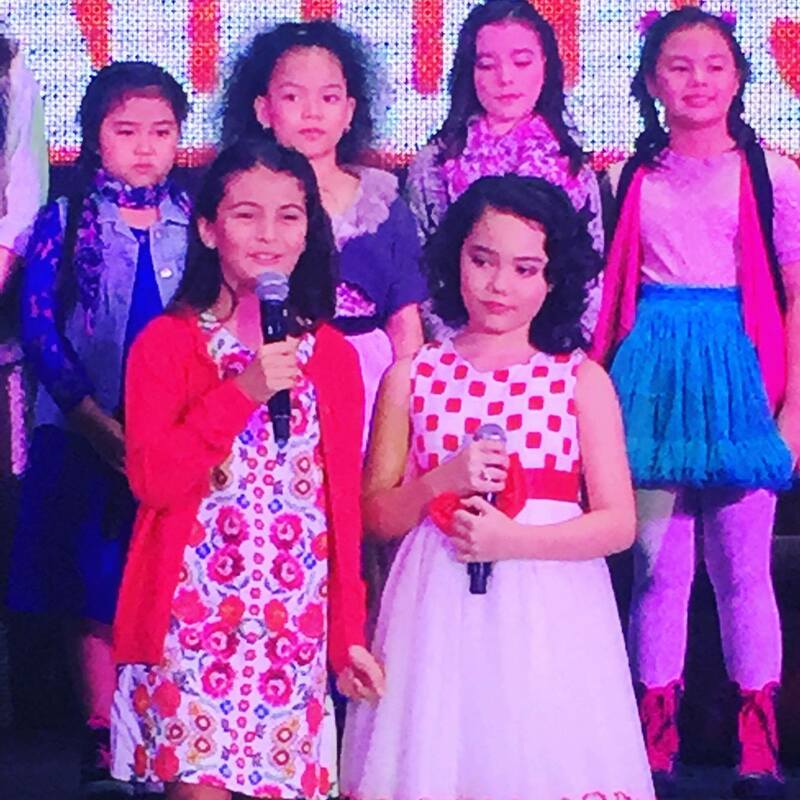 Playing the title role of Annie are: Krystal Brimner, who just won Best Child Actress in 2015 Metro Manila Film Festival in the indie film, "Honor Thy Father;" and Isabeli Araneta Elizalde, a newcomer who bested hundreds of other hopefuls who auditioned for the role. According to Isabeli and Krystal, they are both super excited to bag the role and says that it is both an honor and a wonderful experience for them. They also said that they like working with the cast and crew because they are having so much fun. The kids are also full of praises for director Michael Stuart Williams for not giving them a hard time and encouraging them to give their best. Of course, he makes them laugh also. "On a broad perspective, the challenge is how do we take ANNIE's story and make it relevant to our audience locally," says Michael Stuart Williams. "There is something quite universal about it which is why ANNIE is fast becoming a modern day classic." 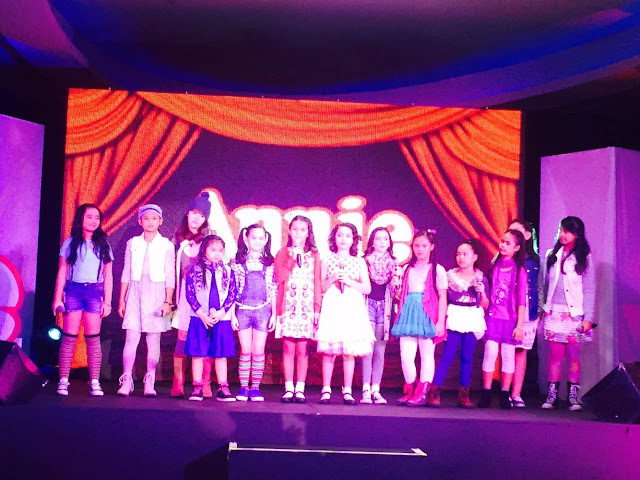 Other kiddie cast members included in Annie production are: Maria Francesca Rojas, Precious Lainey Glavez, Chrysse Jilliane Jover, Maria Ericka Peralejo, Natalia Victoria Escano, Alba Berenguer-Testa, Shanti Leialoha Gleason, Gwyneth Jearei Dorado, Cydel Virie Gabutero, Atascha Chloe Mercado, Stephanie Ginger Karganilla, and Sofia Jade Wong. Joining the adult cast are: Michael de Mesa, who plays Daddy Warbucks, Menchu Lauchengo-Yulo as Ms. Agatha Hannigan, Jill Pena as Secretary Grace Farrell, and Mako Alonso and Red Concepcion alternating for the role of conniving Rooster Hannigan. ANNIE opens on September 30, 2016 at Newport Performing Arts Theatre in Resorts World Manila. For ticket information, please call Resorts World Manila at (632) 908-8833.